Join us this month to do it again. 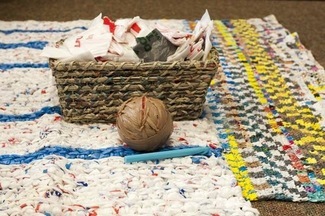 Learn how to make "plarn" (plastic yarn) to turn plastic bags into sleep mats for the homeless. These crocheted mats are remarkably comfortable and offer just enough to create a barrier between the ground and the body, to help retain body heat while sleeping.